An introduction to the seven UU Principles for preschoolers, illustrating the values that all parents wish to instill in their children, such as respect, trustworthiness, fairness, caring, responsibility and good citizenship. We explore the values of respect and being considerate of others, values inherent in our first UU Principle. We will discuss our names and what makes them special. We explore the values of respect and tolerance, values inherent in our first UU Principle. We’ll talk about how we are different and how we are all alike. We explore the values of respect and good manners, values inherent in our first UU Principle. We’ll talk about the Golden Rule and make otter paper bag puppets. We explore the values of respect and good manners, values inherent in our first UU Principle. We’ll make tea hats and have our own tea party to practice our manners. We explore the value of kindness, a value inherent in our second UU Principle. We will talk about ways to show caring behavior to others, and make an OWL picture with feathers. We explore the value of kindness, a value inherent in our second UU Principle. We’ll talk about how our kind actions can inspire others to be kind, and make smile bracelets. We explore the values of kindness and generosity, values inherent in our second UU Principle. We’ll talk about putting the needs of others ahead of our own and work together to make a rainbow painting. We explore the value of forgiveness, a value inherent in our second UU Principle. We’ll discuss how you can tell someone when something hurts you and what you can say when you are the one who hurts someone else. We explore the value of citizenship, a value inherent in our fifth UU Principle, and the importance of voting. We’ll talk about how being a leader isn’t about being the bossy one but rather having the most responsibility, and we’ll make posters to remind our congregants that it’s important to vote. We explore the value of citizenship, a value inherent in our fifth UU Principle, and the importance of voting. We’ll hold a vote to determin which toy in the room is our class’ favorite. We explore the value of gratitude, a value inherent in our third UU Principle. We’ll talk about what each of us is thankful for. We explore the value of perserverance, a value inherent in our fourth UU Principle. We’ll decorate stars and try to catch some stars of our own. We explore the values of happiness and love, values inherent in our fourth UU Principle. We will recognize that people have traditions from different religious beliefs, and make a pretty candle holder. We explore the value of having the courage to be ourselves, a value inherent in our third UU Principle. We’ll talk about what special talents we each have. We explore the values of inclusion and being true to ourselves, values inherent in our third UU Principle. We’ll discuss mean words that people use to mean that someone is different and why we don’t use these words. We’ll also make friendship bracelets, for ourselves and a friend. We explore the values of being ourselves and accepting one another, values inherent in our third UU Principle. We’ll talk about feeling different from others and make a Calvin bird. We explore the values of courage and kindness, values inherent in our third UU Principle. We’ll talk about how it takes courage to be different from those around us, and make a fingerprint rainbow as unique as each of us! We explore the value of responsibility, a value inherent in our fourth UU Principle. We’ll talk about why it’s good for us all to be different and how we all have contributions to bring to a group. We’ll also make a paper mouse in the style of Leo Lionni. We explore the value of caring, a value inherent in our second UU Principle. We’ll make a special Valentine to show someone that they are loved. We explore the value of responsibility for your own actions, a value inherent in our fourth UU Principle. We’ll discuss why it’s wrong to blame others when we do something wrong, and play Pin the Coat on the Goat. We explore the value of searching for our own truth, a value inherent in our fourth UU Principle. We’ll discuss what each of us dreams of and make collages. Parents should plan to stay after class to see our class art show! We explore the value of believing in oneself, a value inherent in our fifth UU Principle. We’ll talk about how we are all unique and special, and all loved. 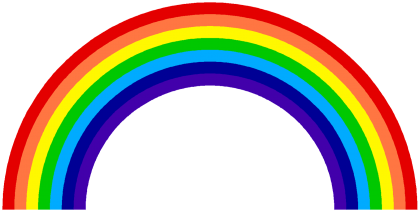 We’ll make rainbow crowns to illustrate our strengths and gifts. We explore the value of believing in oneself, a value inherent in our fifth UU Principle. We’ll discuss what each child appreciates about themself. We explore the value of fairness, a value inherent in our sixth UU Principle. We’ll talk about taking turns and why we shouldn’t interrupt others, and we’ll make our own interrupting chickens. We explore the values of fairness and sharing, values inherent in our sixth UU Principle. We’ll make play pizzas from playdough. We explore the values of respect and peace, values inherent in our sixth UU Principle. We’ll talk about how peace can mean different things to different people. We explore the values of friendship, peace and kindness, values inherent in our sixth UU Principle. We will brainstorm ways that we can get along better and be peacemakers and make a rainbow peace suncatcher. We explore the value of citizenship, a value inherent in our seventh UU Principle, and the importance of protecting our environment. We’ll talk about how each of us can care for the earth and make a rainbow windsock. We explore the value of citizenship, a value inherent in our seventh UU Principle, and the importance of caring for wildlife. we’ll discuss how butterflies are a gift to Earth and make our own butterfly wands. We explore the value of citizenship, a value inherent in our seventh UU Principle, and the importance of caring for wildlife. We’ll talk about Dr. Jane Goodall and make paper plate monkeys. We explore the value of caring, a value inherent in our second UU Principle. We’ll discuss how families come in many different forms and make a special gift. We explore the value of citizenship, a value inherent in our seventh UU Principle, and the importance of protecting our environment. We’ll talk about gardens and make seed bombs to beautify empty spaces.